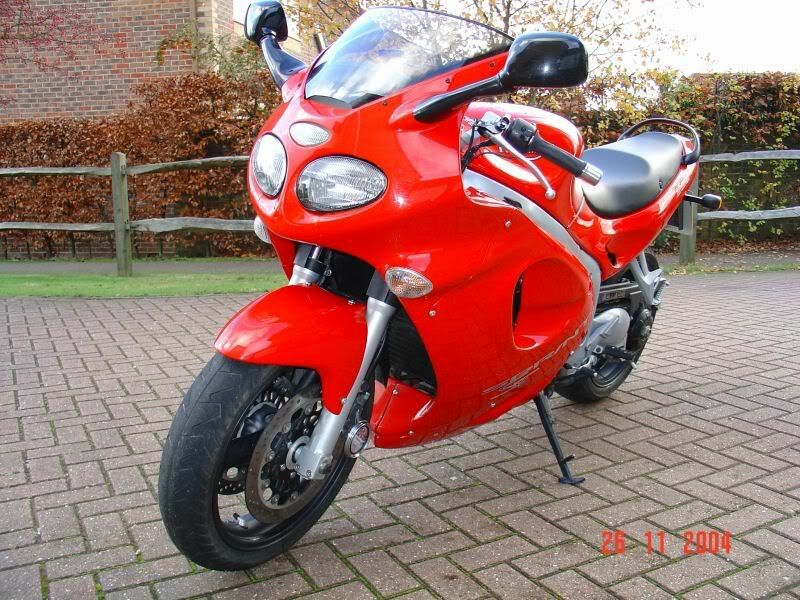 Bought on eBay, this was the bike I thought I'd always wanted. It was a love/hate relationship - I wanted to love it but ended up hating it. It fell over at every opportunity (put it on side stand, walk away then crash - on it's side again) and those panels aren't cheap, nor are the decals/stickers. It was fantastic to ride but I ended up riding everywhere at lunatic speeds. In the end it was a case of either it had to go or I would either loose my lisense or my life. Usually I keep a bike for 2 years - this lasted 6 months and I traded it in for the Deauville (getting £500 more trade-in than I'd paid for it - the only bike I've ever made a profit on). Pictures below taken and supplied by vendor as I never did get round to taking my own. 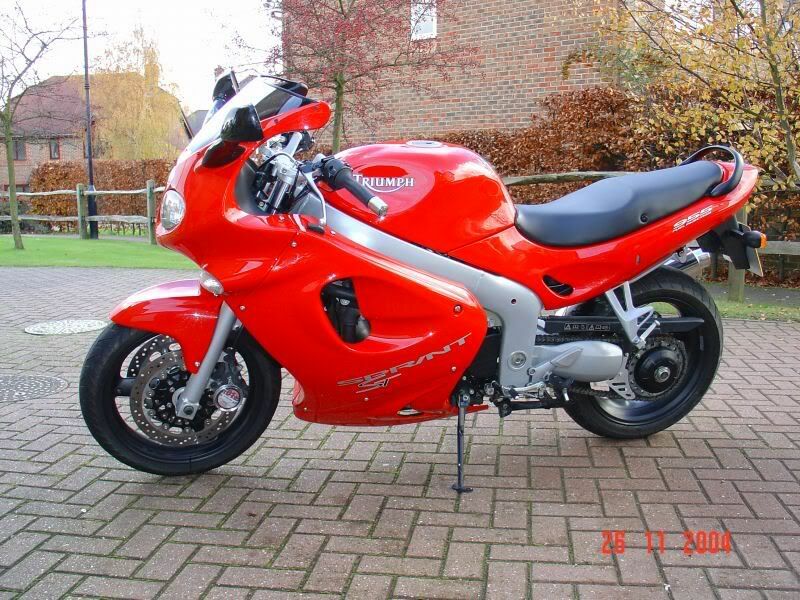 My Triumph Sprint ST 955i. Not long after fitting the Avons the rear got a puncture (inside 500 miles) and had to be replaced. Fortunately, Avon were running a promotion at the time I bought them whereby they'd replace any punctured tyre if less than 1mm of tread had been used. I had to pay the full replacement price up front, but after inspection by Avon I was issued with a cheque by the dealer for the full cost of the tyre leaving me only out of pocket for the fitting charge. The Avons really suited the bike and my style of riding. I fitted them when the tyres that were on it wore out and I could stand the tramlining no longer. The Azaros had come out best in a magazine tyre test where tyres were compared back to back on two bikes, the Sprint and a Honda VFR. The testers concluded that the Avon was the best tyre for the Sprint and inspired confidence, especially in the wet (the Bridgestone BT020s suited the VFR better). My experiences back up their comments on the Sprint/Avon combination.